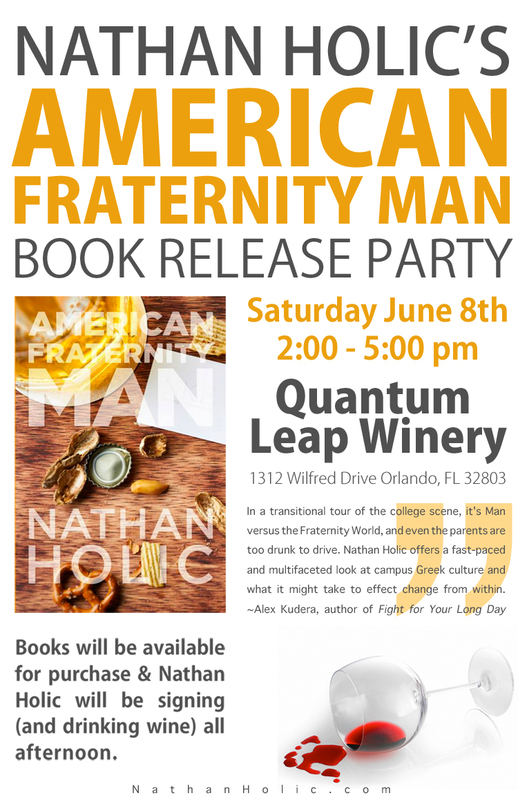 This entry was posted in American Fraternity Man, Orlando Literary Scene, Writing Updates and Links. Bookmark the permalink. Congrats, Nathan! I would love to be there but I will be at Animal Kingdom with the in-laws. However, I would love to purchase a signed copy of your book. I’m not on FB anymore, so email me the details: dgcooper82@gmail.com.